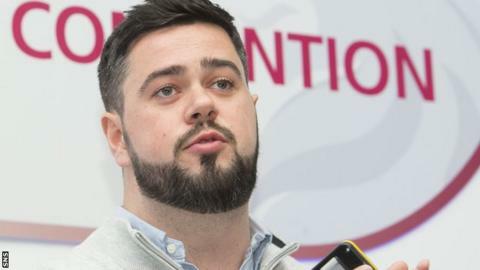 Brentford have added former technical director Robert Rowan to their squad list for the rest of the season after his death last week at the age of 28. They have allocated their number five shirt to him and his name will appear in programmes and on their website. Rowan had been with the Championship club for four years and was appointed technical director in February. He died of heart failure and further tributes will be paid at Saturday's home match against Middlesbrough. There will be a minute's applause before kick-off in his memory. "Robert's family, including his wife Suzanne, and friends have been invited to the game," said a club statement. "The Brentford players will be wearing special black armbands for the game. There will also be a special matchday programme dedicated to Robert's memory. "A floral tribute will also be placed on Robert's usual matchday seat for the game against Middlesbrough."